About the Children's Department: A Prayer For Your Ministry - Pray For the Most Important Thing! There are certainly many things for us to pray about when it comes to praying for the children, families, and volunteers in our ministries, but I think we can take a cue from Jesus as to the most important thing for us to pray about. In Matthew 22:37-40 someone asked jesus which command was the most important; He said, "'Love the Lord your God with all your heart and with all your soul and with all your mind.' This is the first and greatest commandment. And the second is like it: 'Love your neighbor as yourself.' All the Law and the Prophets hang on these two commandments." Loving God with our all and loving others as we love ourselves. Jesus said these were the two most important things . . . so if they are important to Jesus, certainly they are important for us to be praying about these two things, too! Just think what the children and families would look like in your ministry if they were able to love God with their all and loved others as they love themselves! Imagine what your volunteers would be like if they loved God and others as Jesus said! 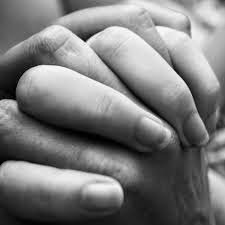 Pryer is the most important thing we can do in our ministries and Jesus said these two things were the most important things for us to do, so make this prayer your prayer for the children, families and volunteers in your ministry! Dear God, first I want to thank You for Your incredible love for me, for the children and families in my church, and for the volunteers. Thank You! Please help me make the choice to love You with all my heart, all my soul, all my mind . . . with my all! As I serve the children, families, and volunteers in my church, please help me show them how to love You. Please help them make the choice to love You with all their heart, soul, mind . . . with their all! Please help us all know there is nothing more important than for each of us to love You with our all! As we experience Your love and make the choice to love You, please cause this love to overflow our lives and to be generously given to all the people You bring us into contact with! Please help my life, and the lives of the children, families, and volunteers in my church be known for the way we love You and love others! Please help us look at others with the eyes of love with which You look at us! Thank You for Your love for us; we love You, too! Amen.